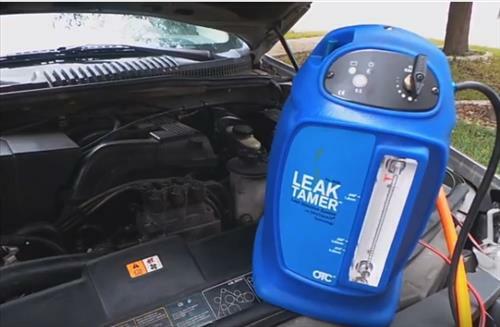 Vacuum leaks that give Evap codes can be a pain to find at times and cause an engine to not run correctly. If the leak is small enough it can often be ignored but an engine light will come on which is not good in many scenarios. An Evap Smoke machine is an easy answer to this and makes finding vacuum leaks an easy task. They work by feeding harmless smoke into the intake of an engine which comes out of the leak making it visible. Seeing the smoke come out of a leak is a quick and easy way to find and fix a Evap problem. The one downside to this is that Smoke Machines are not low cost tools and are for those who will be doing a lot of repairs. If you are trying to fix a single vehicle a smoke machine will usually cost more than taking it to a mechanic shop. If you do have a lot of repairs or are a busy shop a smoke machine will make for a good purchase and save on time when looking for a Evap problem. There is no doubt many good units with those below simply some of our favorite options. As always be sure to read the reviews on Amazon, forms, or elsewhere to be sure a unit is a good fit for you. 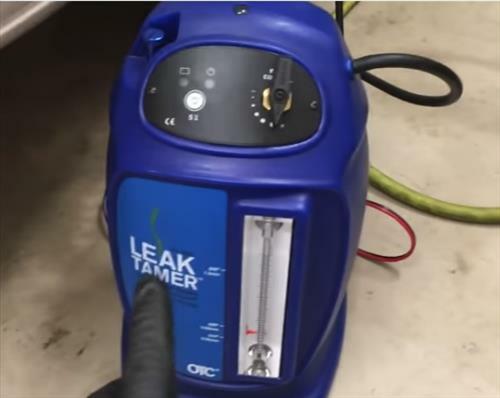 The OTC 6522 Leak Tamer is a popular option that’s been available for a few years. From exhaust, intake, evap, and coolant leaks the OTC 6522 is a good unit that wont disappoint and make finding leaks easy. If your looking for a good budget unit the Smoke-Tek is worth a look. It is built more for a backyard mechanic than a busy shop and works well enough. While much cheaper compared to other units it is a good fit for those who only need to use the machine occasionally. If your a do-it-yourself part time mechanic it is a good unit to get. The Vacutec Model 2000E is built for a busy shop that need a well built machine for a lot of use. It is a very nice unit but more than most will need. Having a Evap Smoke machine is a nice thing to have when it comes time to find a Evap code from an OBDII scan tool. They are simple to use and send smoke out the leak making it clearly visible where the leak is located. They can also be used to find coolant leaks and other hard to find holes by sending smoke into the system.